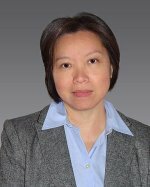 Dr. L. Ruby Leung, Laboratory Fellow and atmospheric scientist at Pacific Northwest National Laboratory, was invited to serve on the American Geophysical Union's Fellows Selection Committee for the Atmospheric Sciences. AGU is a professional scientific organization representing more than 62,000 members advancing the Earth and space sciences. Leung, an AGU Fellow since 2013, joins nine other AGU Fellows for a two-year term on the committee. AGU Fellows are selected every year to recognize scientists with profound and outstanding contributions to the advancement of Earth and space science. The fellow committee is critical to sustain the high standards of AGU fellowship, and ensure fair and equitable selection of the most qualified candidates. An internationally recognized leader in climate modeling, Leung's research guides national policy-makers on decisions related to water, agriculture, energy, public health and national security. Her leadership on key workshops and panels sponsored by environmental agencies help define future priorities in climate modeling and hydroclimate research. She is a leader in the modeling community working to develop regional climate models used by a world-wide research community. Leung is also a Fellow in the American Meteorological Society, the American Association for the Advancement of Science and a member of the Washington State Academy of Sciences. Her research crosses scientific disciplines to advance the state-of-the art in predicting climate change and its regional impacts. Leung has published over 175 peer-reviewed papers.